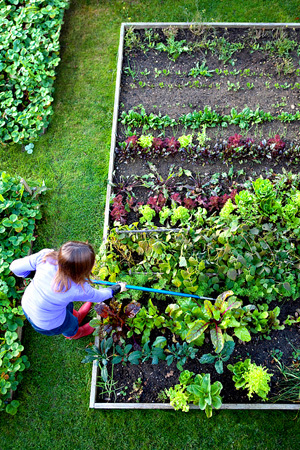 The Horticulture Sections’s online Organic Gardening course is designed to help new gardeners get started and help experienced gardeners broaden their understanding of organic techniques for all kinds of gardens. The course runs March 11 to April 24, 2015, and covers one topic each week. (See course outline below.) With a strong foundation in soil health and its impact on plant health, we then explore tried-and-true and cutting-edge techniques for all different kinds of garden plants including food plants, trees and shrubs and lawn. Participants view recorded presentations, read assigned essays and book excerpts, participate in online group discussions with other students, complete reflective writing/design work and take part in some hands-on activities. Most students spend 3 to 4 hours each week with the content, though there are always ample resources and opportunity to do more. Please contact the instructor, Elizabeth Gabriel, for information: erg84@cornell.edu. Week 1:Introduction: What is Organic Gardening? Knowing Your Site. More information and online registration. More gardening, botanical illustration and permaculture distance learning courses from the Horticulture Section.